The Green is an iconic river located 35 miles from downtown Asheville. With three runnable sections (Upper, Narrows, Lower), the river has something for every level paddler. 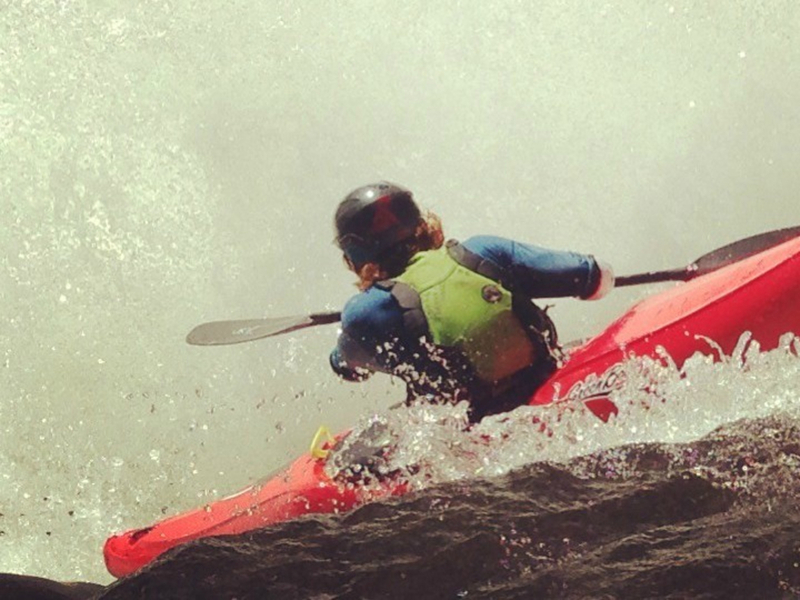 It is most famous for its Narrows section, a stretch of river that has molded the sport and established Asheville, and the Southeast, as a central hub of the whitewater kayaking industry. The Green River is a place that has had a large influence on the world of whitewater paddling and on many boaters’ lives. It is a highly convenient run because of its proximity to several cities (Asheville, Greenville, Charlotte, and Atlanta) and also because it is dam-released, so it runs 300+ days a year. Add in the fact that it has three sections of varying difficulties, and probably the most famous and prestigious extreme race on the planet, and you start to see why it is beloved by so many. But the truly beautiful thing about the Green is the fact that it combines all of these conveniences with an authentic wilderness experience. As soon as paddlers slip into her waters and around the corner, the Green has a way of softening the sharp corners in life, and re-centering the soul. Upper:The Upper Green is a fantastic run for the class III paddler who is looking to dip their toes in the realm of vertical drops. Paddlers are treated to several miles of nice winding class II and III rapids, and two borderline class IV drops. Notable named rapids are Bayless Boof, Wanda’s Hole, and Pinball. Take out just before Big Hungry Creek enters on the left, and hike the ½ mile uphill to civilization.Narrows:The Narrows is arguably the most famous steep creek in the world. With a nice combination of boulder garden and bedrock rapids, this section will challenge and push the most elite kayaker, but is also accessible (with a few portages) to the class IV+ boater. Go Left and Die, Gorilla, and Sunshine are the three major class V rapids, and there are many more drops that aren’t to be trifled with. The majority of the gradient is concentrated within the “monster mile,” which drops at a rate of 300+ feet per mile. This section lends itself well to multi-lap days.Lower:The Lower Green is the perfect beginner run. As if bipolar, the river lets go of its furious descent, and meanders out into a beautiful rural valley. This is a perfect section for the beginner paddler or a summer tube trip. It is completely roadside, so choose how much of the 7 miles you’d like to bite off. Here are a few local tips that I would suggest experiencing….Dawn Patrol:Set shuttle in the dark and put on at first light for an unforgettable experience… and great start to the work day!Heron Viewing:There are several Great Blue Herons that enjoy fishing the Green. On lucky days, you can quietly follow them down the river as they fly from one fishing spot to another.Racing:The Green Race is an experience unlike any other. For those with the skills, paddling down that incredibly challenging course and into a 1000 spectator amphitheater at Gorilla is something that belongs on the bucket list. This event always occurs the 1st Saturday in November. The Narrows get much more intense during the weeks before the race, and this is not a good time for a first-time paddler.Disclaimer:Please paddle within your abilities. Paddlers who step above their abilities are very easy to spot and actually endanger river access for all. River Gauge:A few rapids below the Narrows putin, you will find a stick gauge. A good minimum on this gauge is 6.” A healthy 100% flow is 9” and 17” is 200%. 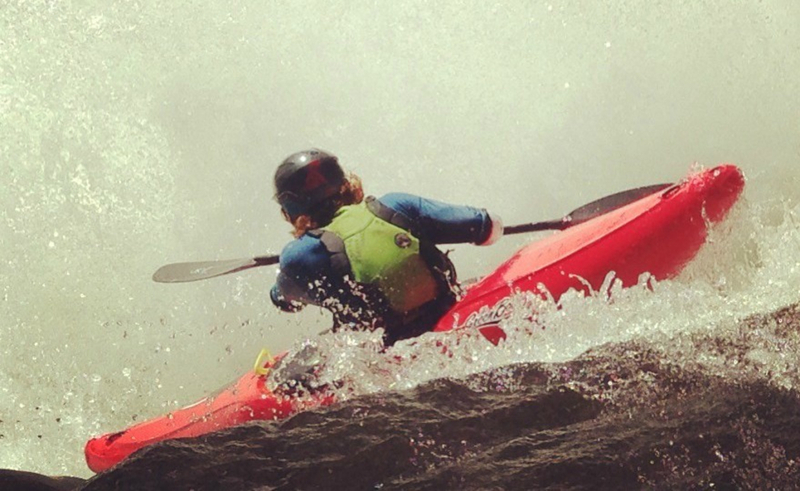 Paddlers have ventured into the Narrows at up to around 36 inches, but the consequence factor becomes exponentially larger as the water goes up. Also, please note that there is no alcohol within 50 feet of the river. Water Schedule (Since this river is dam-released, it’s important to understand water schedules. )Water to Upper Takeout/Narrows Putin (2.5 hours)Water to Narrows Takeout/Lower Putin (4.25 hours)Water to Lower Takeout (6.5 hours)**Water empties faster than it fills. Don’t put in at the Narrows more than 1.25 hours after the dam shuts off.